I can’t describe my happiness because after following and tracking Fairy Hobmother’s trail, he finally paid a visit in my blog. I got an email a few days ago, and he told me that I will be rewarded with gifts because of my hardwork. Isn’t he so kind and generous? He showed me some home appliances and I really like the kitchen showcase. I love to cook and my kids love to eat so his gift is an early Christmas treat not just for me but for the whole family. 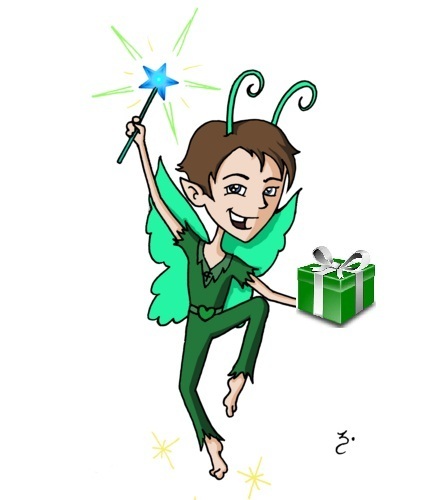 Fairy Hobmother is continuously spreading happiness throughout the blogosphere. So if you’ve been following him around, just continue and don’t give up. I have friends who were so lucky to be visited by Fairy Hobmother not just once but twice. So leave a comment now with a link to your blog and follow him on twitter @Fairyhobmother. Who knows you might be the next lucky blogger to receive his reward. I read so much about him but never visited my blog.maybe one of this days.